Upon opening the Purgatory Demon's Attribute Panel, Shi Feng discovered a list of tens of Skills. Among them, there were three Tier 3 Skills, one being the Tier 3 Taboo Skill. The remaining Skills were all Tier 2 The Purgatory Demon had more Skills than an ordinary player. Moreover, the majority of its Skills were AOE Skills. The Demon could play a huge role in a group battle. In addition, the Purgatory Demon's HP and Level were similarly shocking. Among Level 50 Great Lords, its HP might not be considerable, but compared to other Tier 3 Demons with high intellect and a large number of Skills, the Purgatory Demon's HP was very high. Moreover, an ordinary Tier 3 Demon's combat power was generally higher than a Great Lord of the same Level. If it came down to a battle, the Tier 3 Demon would emerge victorious. Its Strength Attribute is outrageous. It's several times higher than my Strength. It should rival a Grand Lord of the same Level. The more Shi Feng examined the Purgatory Demon's Attributes, the more shocked he became. With such a powerful summon, his exploration of Mount Sogar's core area would be much easier. At the very least, he would not have to run and hide from monsters constantly. Following which, Shi Feng began controlling the Purgatory Demon to venture deeper into the heart of Mount Sogar. There were many groups of Stone Apes patrolling the trail up Mount Sogar. Not only did each patrol team have over a hundred Elite Stone Apes, but the teams were also led by one Lord ranked Stone Ape Guard. Shortly after exiting the cave, a Stone Ape Guard discovered both Shi Feng and the Purgatory Demon. The Lord released a roar and immediately, over a hundred Level 50 Elite Stone Apes charged at the two intruders. "You guys can serve as a test, then." Shi Feng smiled calmly as he focused the majority of his consciousness into the Purgatory Demon while he hid as far away as possible. However, the Purgatory Demon, which was over three meters tall, was like an immovable wall as it stood in the middle of the mountain trail. With its war axe held ready, the Demon managed to block the entire trail by itself. When the Stone Apes arrived before the Purgatory Demon, the latter swept its ma.s.sive two-handed war axe horizontally across the enemy group. Suddenly, the six leading Stone Apes flew through the air, slamming into the mountainsides bordering the trail. Some of the Stone Apes' rock bodies shattered when they met the ma.s.sive war axe, damages of over -30,000 points appearing above their heads. If a player had received the Purgatory Demon's attack just now, they would have died instantly. "Such fierce damage." Shi Feng was momentarily stunned. He had never imagined that the Purgatory Demon could deal such high damage. Compared to the Snow Lions, the Stone Apes' Defense was much higher. Previously, he could deal around -1,200 damage to the Snow Lions with his normal attacks. Yet, the Purgatory Demon dealt over -30,000 damage, destroying over one-tenth of the Stone Apes' HPs with one swing of its axe. Moreover, it even shattered the Stone Apes' rock bodies, wounding the Elites heavily and significantly reducing their combat power. In the face of the Purgatory Demon's Strength, the Stone Apes were no more than toys. They could not approach Shi Feng, who hid behind the Purgatory Demon, at all. However, Shi Feng was also struggling to control the Tier 3 Demon. Shi Feng was already not used moving in the Demon's ma.s.sive body. Attacking only increased the complexity of his task. He could not exert his desired effects at all. At the moment, he was exerting less than one-third of the Purgatory Demon's actual strength. Suddenly, the Stone Ape Guard standing behind the group of Stone Apes jumped into the air and thrust its spear towards the Purgatory Demon. As if it were a venomous snake, the spear left behind three afterimages that struck the Tier 3 Demon. With the Purgatory Demon's usual standards, it could have dodged the Lord's spear attack effortlessly. However, Shi Feng was unable to exert the Demon's full strength, so the Demon received all three attacks. Three consecutive damages appeared above the Purgatory Demon's head. However, compared to the Purgatory Demon's 13,000,000 HP, these damages were practically negligible. The Demon's battle recovery alone regenerated 130,000 HP every five seconds. Even if Shi Feng allowed the Stone Ape Guard to attack as much as it wished, it would not kill the Purgatory Demon. "I wonder how this move will fare?" Shi Feng did not want to waste any more time with these Stone Apes. He controlled the Purgatory Demon and activated the Tier 3 Skill, Garuda's Flames. Garuda's Flames dealt flame damage within a cone to all enemies within 50 yards. At the same time, targets struck would be forced into a Fainted state for five seconds. The Purgatory Demon swung its ma.s.sive war axe and the Stone Apes before it drowned in a sea of fire. Even while standing behind the Purgatory Demon, Shi Feng could feel the scorching heat of Garuda's Flames. Against such a wide range attack, neither the Stone Ape Guard nor the Elite Stone Apes could avoid it. The Purgatory Demon's attack swallowed every one of the Stone Apes. Suddenly, the hundred-plus Stone Apes lost their lives. Only the Lord ranked Stone Ape Guard still lived. However, the Lord's body glowed bright red with heat, and of its original 2,800,000 HP, only around 2,100,000 remained. Garuda's Flames dealt nearly 700,000 damage to a Level 50 Lord. Meanwhile, Shi Feng had exerted less than 50% of the Skill's effect. If the Purgatory Demon were still self-aware, Garuda's Flames would probably have devoured over half of the Stone Ape Guard's HP. It's a pity that this Skill's Cooldown is somewhat long. Otherwise, grinding with this Skill would be exhilarating. Shi Feng sighed as he glanced at his experience bar. Shi Feng had been at 9% of Level 32. Now, his experience stopped at 20%. His experience bar had jumped by a full 11%. After players reached Level 30, the amount of EXP they required to level up would increase tremendously. Even expert players had to grind for several days to gain a single level, not to mention someone like Shi Feng, who required twice as much EXP as ordinary players. Any other player would have gained 22%. They would only have to defeat five Stone Ape patrol teams to gain a Level. However, part of this was also because the monsters at the Top of the World provided much higher EXP than the monsters in Star-Moon Kingdom. Moreover, there was also the fact that the Stone Apes were Elite monsters and were 18 Levels higher than Shi Feng, providing him with ample amounts of bonus EXP. For an ordinary player, a Common monster that was two or three levels higher would be their limit, let alone an Elite monster. Normally, a party of ordinary players was required to take down a single Elite monster. After splitting the EXP six-ways, each player would only receive a small amount. Meanwhile, Shi Feng enjoyed the EXP from more than a hundred Stone Apes by himself. His leveling speed would be as fast as flight. Following which, Shi Feng directed the Purgatory Demon to attack the Stone Ape Guard with more Skills. The Tier 3 Skills' Cooldowns were simply too long. Shi Feng intended to use them sparingly, so he only used Tier 2 Skills to deal with the Stone Ape Guard. Even so, each Tier 2 Skill dealt over -100,000 damage. In less than 30 seconds, the Stone Ape Guard lay at the Purgatory Demon's feet. Meanwhile, Shi Feng's experience bar had risen by an additional 6%. The Lord provided more EXP than half of the hundred-plus Elite Stone Apes. Other than providing Shi Feng with an abundance of EXP, these Stone Apes had also dropped a large number of items. Equipment and materials littered the mountain trail before the Purgatory Demon. The drop-rate here was even better than in the Stoneclaw Mountains. However, this place was home to monsters that were Level 50 and above. If Shi Feng grinded in an ordinary high-level map in Star-Moon Kingdom rather than at the Top of the World, he would not enjoy such a lucrative drop-rate. However, Mount Sogar possessed a large number of powerful monsters. This was one major difference between it and ordinary maps. Surviving here was already extremely difficult for Level 50 players, not to mention grinding for levels and items. Moreover, Shi Feng was only able to eliminate the powerful monsters here due to the Purgatory Demon. 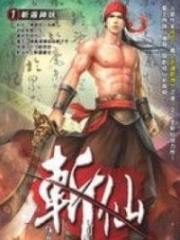 You're Read Reincarnation Of The Strongest Sword God Chapter 689 online at NovelOnlineFull.com. You can use the follow function to bookmark your favorite novel ( Only for registered users ). If you find any errors ( can't read,broken links, can't load photos, etc.. ), Please let us know so we can fix it as soon as possible. And when you start a conversation or debate about a certain topic with other people, please do not offend them just because you don't like their opinions. You're reading Reincarnation Of The Strongest Sword God. This manga has been translated by Updating. Author(s): Lucky Cat. Already has 1816 views. Current Time is 19-Apr-2019 01:17:18 AM.